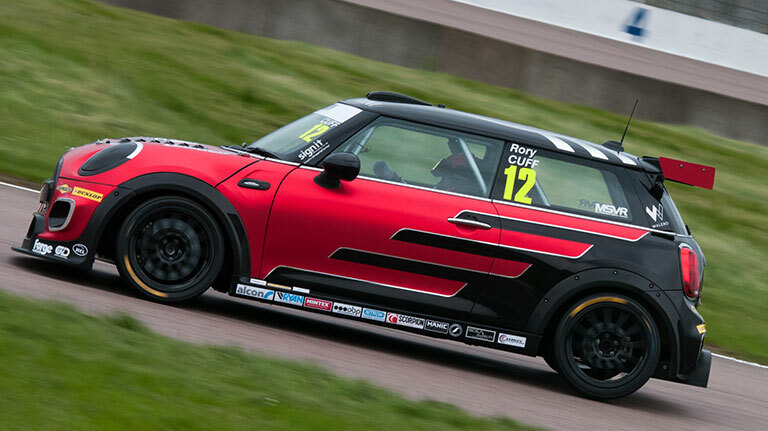 Rory Cuff is aiming high in this year’s MINI CHALLENGE JCW Championship after confirming his return to the series this season. Cuff, 20, made his car racing debut aboard one of Team Dynamics’ 265bhp JCW machines last year, and quickly established himself as a regular within the top 10. For this season Cuff will join the MINI UK VIP Team. Prior to moving into the MINI CHALLENGE last year, Cuff had a strong pedigree in karting, having competed at Cadet level since the age of eight, where he achieved numerous British championship pole positions and strong finishes whilst racing against the Formula 1 newcomers Lando Norris and George Russell. Following this he raced at European level in KF3, but took a break from competing to complete his studies. 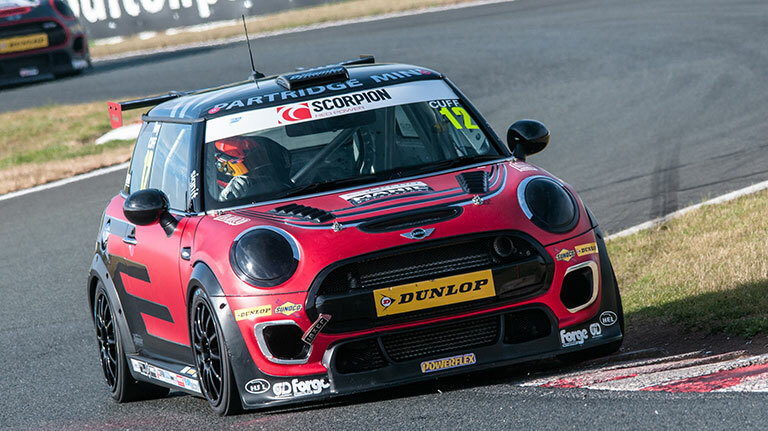 A strong maiden season in the JCW category in 2018 brought him a best race finish of fifth place at Snetterton, but he often starred in qualifying, most notably with a third-place start during the Oulton Park MINI Festival. Cuff hopes a second term in the JCWs will give him the chance to prove his potential at the front of the grid. “Considering last year was my first season racing cars, I feel it went really well as there was an awful lot to learn,” said the Exeter University engineering student. “Running with Team Dynamics last year was great, and for this year the change to the MINI UK Team is an exciting one. Last year its regular drivers – Rob Smith and Jordan Collard – were consistently at the front, and that’s my aim this season. “My karting experience definitely helped me to adjust to the JCWs, which are very demanding cars and take a lot of skill to keep on the limit – they’re tail-happy, lightning quick and great fun. There’s always a lot more to learn, but I showed the pace is in me with the qualifying performances last year and whenever the track was wet.